What an incredible weekend at band camp! For the second year, the Metropolitan Music Community gathered at French Woods Performing Arts camp for an inspiring and magical Labor Day weekend. We hit the ground running on an exciting musical program for Grand Street Community Band's first cycle, and enjoyed the fresh air and beauty of the Catskill Mountains! We swam, hiked, bowled, ate, drank and laughed our way through the weekend, and then loaded up a big yellow bus back to the city, relaxed and ready for a brand new year with the MMC! Special thanks to everyone who made this weekend possible, especially GSCB conductor Brian Worsdale, whose generosity is unmatched! 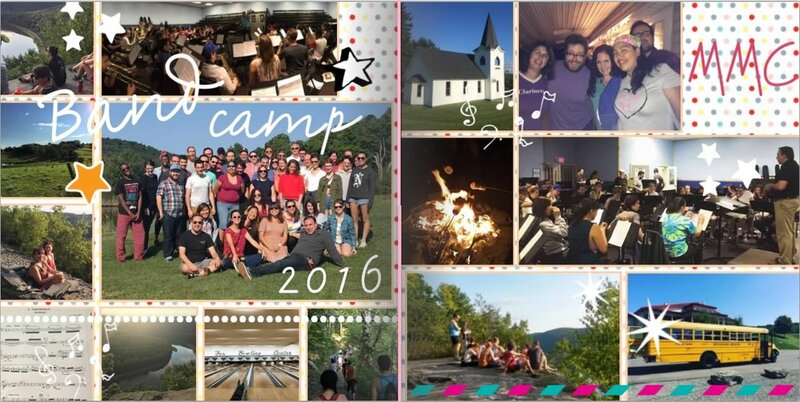 In true summer camp fashion, check out a scrapbook of our weekend adventures, and we'll see everyone in a few weeks! Reminder that rehearsals kick off September 19th (GSCB), September 20th (BKWS) and September 21st (KCCB) from 7-9 PM at Grand Street Campus High School. Posted on September 8, 2016 by Alyssa Pry.